A former Prince George's County Board of Education member was found guilty Friday of stealing school lunches. Lynette Mundey applied for and received $1,700 in free lunches between 2011 and 2015 even though her income was much higher than the $40,000 cut-off point for the program, NBCWashington previously reported. During that time, her income was over $70,000. Mundey faces up to 49 years in prison, officials said. Mundey worked for the Government Accountability Office, which uncovered the fraud in a routine investigation. Five other employees also defrauded the program for $11,432 in lunches, officials said. 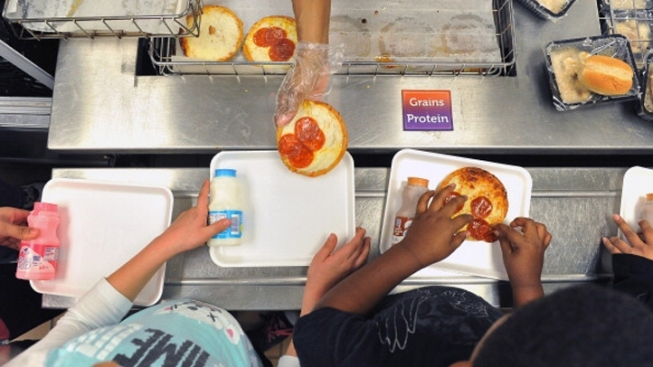 “It is simply unacceptable to take food out of the mouths of children and families who truly cannot afford lunch,” Prince George’s County State’s Attorney Angela Alsobrooks said in a statement. The fraud was uncovered during a 2014 audit of the lunch program by the Government Accountability Office. The agency noticed several of its own employees received assistance from the program in Prince George’s County because they underreported their income or reported no income on their applications. The other employees, Barbara Rowley, Jamilah Reid, Tracy Williams, Charlene Savoy and Terri Pinkney, were also found guilty of charges related to the incident. Four of them were required paid restitutions, ranging from $781 to $3,322. Rowley, Williams and Pinkney were sentenced to suspended sentences, meaning they will serve time in prison at some point in the future. “These convictions ensure the American taxpayers that their tax dollars will not be abused and there is no tolerance for criminal activity by federal employees,” GAO Inspector General Adam Trzeciak said.